3D Field Goal Games features 5 different field goal-based games all in one. This game will keep you playing again and again. 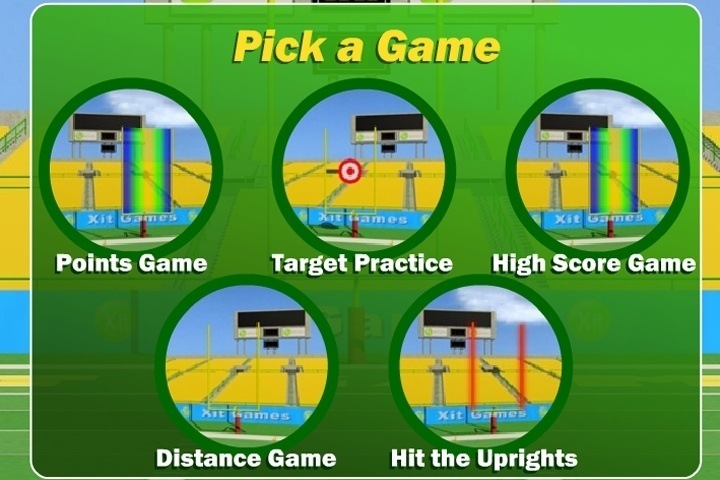 The objective of the player is to complete each goal within the time limit in these 3D field goal games. Click your mouse to start the power picker and click again to stop it. Do the same thing with accuracy picker. Line up the arrow with the direction you want to hit and click the mouse once.The power accuracy picker will pop up.Click your mouse to start the powerpicker and click again to stop it. Do the same thing with accuracy picker.